London: Come July and Anish Kapoor’s mammoth installation called The Orbit is going to be open to all. Made up of steel from every steel manufacturing unit of Arcelor Mittal, it is built right next to the 2012 Olympic site. Funded primarily by steel magnate Lakshmi Mittal, it is the tallest structure in the United Kingdom. 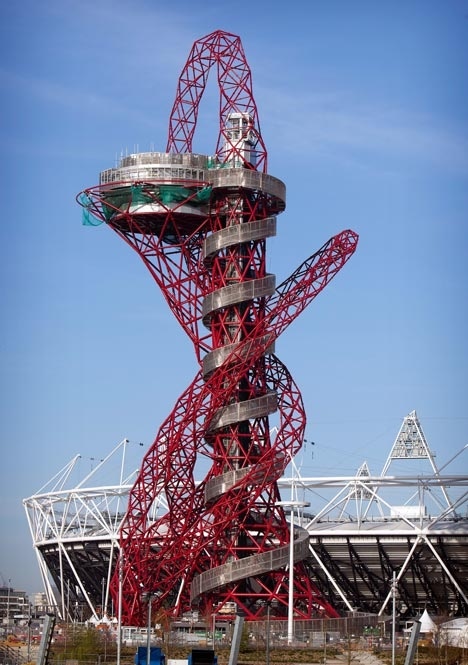 Standing at 376 feet, the structure is intended to attract plenty of visitors during the London Olympics. It was conceived about three years ago when the mayor of London, Boris Johnson met Mittal at The World Economic Forum. Kapoor’s installation is being looked at with quite a great amount of skepticism at the moment. While some critics believe that it is not aesthetically pleasing enough, others are wondering whether it is ‘Art’ at all. Kapoor defends it by arguing that despite appearing rather awkward, it is more about the experience of going up and being a part of it.